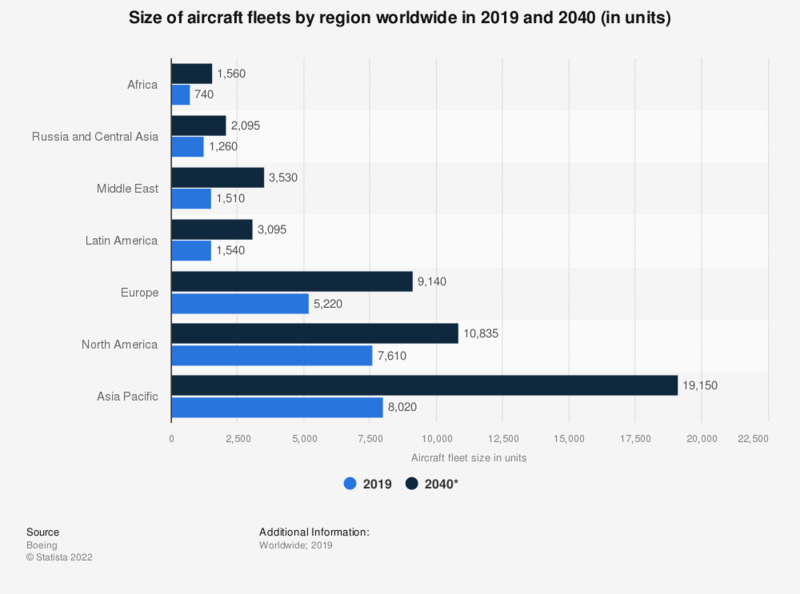 The statistic gives a projection of the global aircraft fleet size from 2017 through 2037, with a breakdown by region. Asia maintains to show growth in global aviation and is expected to have 18,200 aircraft in service by 2037. The region's passenger traffic is also expected to increase at an annual growth rate of 5.7 percent. Everything On "Airbus and Boeing" in One Document: Edited and Divided into Handy Chapters. Including Detailed References. Statistics on "Global aircraft MRO market"